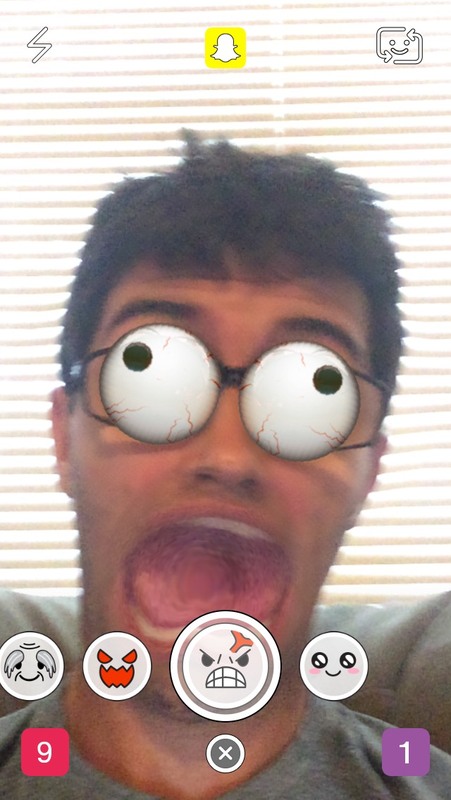 Home › Snapchat Selfie Filters › How Do I Get the Snapchat Googly Eyes Selfie Filter? How Do I Get the Snapchat Googly Eyes Selfie Filter? Not only does it make your eyes big and googly it also makes your mouth look wide open and weird. To get this Snapchat selfie filter to work you will need to raise your eyebrows while looking at your smartphone. Is this a filter you think you will use? What is your favorite Snapchat selfie filter? Three Stars Snapchat Trophy | How Do I Get the Snapchat Falling Hearts Selfie Filter?